We recently talked with Hal C. Danzer, MD, a board-certified gynecologist and obstetrician and co-founder of the Southern California Reproductive Center, about advances in the treatment of infertility. In addition to his private practice, Dr. Danzer serves on UCLA’s Reproductive Endocrinology and Infertility Fellowship Program, and is also Assistant Clinical Professor in the Department of Obstetrics and Gynecology at the David Geffen School of Medicine. He holds the positions of Reproductive Endocrinologist at Cedars-Sinai Medical Center and Attending Physician in its Department of Obstetrics and Gynecology. Dr. Danzer has co-authored several books and is a respected researcher with a focus on strategies to enhance patients’ chances of a successful pregnancy. Q: What are the first steps someone should take if they’re unable to conceive and do those steps differ based on a woman’s age? Hal C. Danzer, MD (HD): Dealing with infertility is intimidating for many people. Less than 50 percent of couples who are referred to an infertility specialist end up making an appointment. They’re afraid their problem can’t be treated or that the cost will be too high. 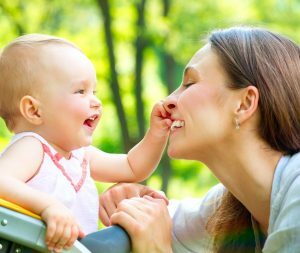 But the first step towards achieving a successful pregnancy is to have an evaluation by an experienced fertility specialist. The sooner you start this process, the better. If you’re under 35 and have been trying to get pregnant for a year, you should ask your OB/GYN for a referral to a fertility specialist. For women who are older than 35, if you have not become pregnant within six months, you should see a fertility specialist to check for potential gynecological problems such as endometriosis, ovarian cysts or fibroids or pelvic infection. If you’re 40 or older, you should see a fertility specialist before trying to become pregnant and undergo tests that will help you and your physician identify when you’re ovulating and determine whether your partner’s sperm count is normal. A blood test known as the Anti-Mullerian Hormone test (AMH) can provide an estimate of how many egg you have left. Because women over 40 only release a genetically balanced egg one in every four cycles, it’s important to have a plan in place to achieve optimal timing for successful fertilization. Q: What are the most current, effective treatment options for infertility? The technology for freezing embryos has also advanced significantly in the last two years and this allows us to let the woman’s uterine lining recover from the process of egg retrieval for a month before we transfer an embryo. This approach results in 15 to 20 percent higher pregnancy rates due to better implantation. Studies have found that the pregnancy rates achieved with thawed embryos are consistently close to those of fresh embryo transfer. In addition, one study conducted in Finland found that babies born from frozen embryos were less likely to be premature, had a higher birth weight, and had a lower likelihood of being small for their gestational age. Q: Are there proactive steps women can take before trying to become pregnant to improve their chances of conception and a healthy pregnancy? Q: What factors should someone consider when choosing a fertility specialist?